Although the entire top 10 was dormant in June, the heavyweight division had its fair share of action. The fight that drew the most attention–for all the wrong reasons–was a lackluster bout between former UFC champion Andrei Arlovski and The Ultimate Fighter 10 alum Brendan Schaub. Arlovski’s Octagon return was anything but impressive, as he narrowly eked out a split decision. Also on the June docket, a pair of fringe contenders locked horns at UFC Fight Night 43 in New Zealand, where Jared Rosholt used his wrestling prowess to snap the lengthy winning streak of Australia’s Soa Palelei. With three straight wins in the UFC, Rosholt is knocking on the door of the top 10. In other action, Strikeforce veteran Derrick Mehmen continued to show he’s one of the best heavyweights on the World Series of Fighting roster with a dominant performance over Dave Huckaba, and UFC debutant Oleksiy Oliynyk demonstrated his submission skills in coaxing a first-round tapout from Anthony Hamilton. The biggest news out of the light heavyweight division came in the form of Chael Sonnen’s circus. The 37-year-old failed multiple pre-fight drug tests prior to his scheduled bout with Vitor Belfort at UFC 175 and subsequently retired from MMA competition. Luckily, there was also action inside the cage in June that should impact the rankings in the near future. TUF winner Ryan Bader outclassed former Strikeforce champion Rafael “Feijao” Cavalcante, while another Strikeforce veteran, Ovince St. Preux, stopped Ryan Jimmo. Bader and OSP will now meet in August with a top-10 ranking on the line. In other action, Gian Villante got back in the win column with a “Fight of the Night” slugfest with Sean O’Connell. 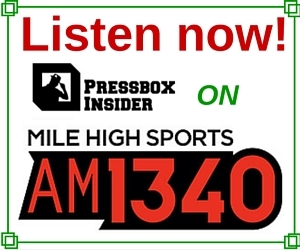 The month of June did nothing to alleviate the logjam at the top of the 185-pound division, but many fighters on the outside looking in at the top 10 were in action. The biggest match-up came in the form of the UFC Fight Night 43 headliner between former Strikeforce champion and UFC title challenger Nate Marquardt and New Zealand’s James Te Huna. Marquardt spoiled Te Huna’s middleweight debut with a vintage performance that ended with a first-round submission. 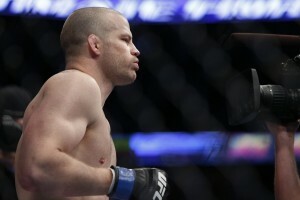 Although Marquardt has a long way to go before he’s contending again, he proved that he belongs at 185 pounds. World Series of Fighting crowned a middleweight champion in June when Dave Branch submitted Jesse Taylor with a beautiful d’arce choke just two minutes into their title affair. Finally, TUF Brazil winner Cezar “Mutante” Ferreira climbed a notch on the middleweight ladder by besting Andrew Craig late in the month. Since Georges St-Pierre announced his hiatus from the UFC’s 170-pound division, it’s largely been the wild, wild west. That theme continued in June as St-Pierre’s teammate, Rory MacDonald, put the brakes on the hype train of Tyron Woodley at UFC 174. However, MacDonald will have to wait for the winner of the Robbie Lawler-Matt Brown bout at UFC on Fox 12 to get their title shot before he can challenge for UFC gold. Outside the top 10, a number of TUF alums continued to progress up the ranks. TUF Smashes winner Robert Whittaker cruised past Mike Rhodes, TUF 16 runner-up Neil Magny extended his winning streak to three with a TKO of Rodrigo “Monstro” Goiana, and TUF 17 winner Kelvin Gastelum remained undefeated with a decision win over Nico Musoke. The month’s most impressive performance may have come from former UFC champion Benson Henderson, who submitted Rustam Khabilov in the UFC Fight Night 42 headliner. Henderson will have to do quite a bit to earn a third crack at champion Anthony Pettis, but scoring his first finish in four years is a step in the right direction. On the same card as Henderson-Khabilov, the New Mexico judges robbed TUF winner Ross Pearson of a clear-cut victory over hometown fighter Diego Sanchez and Brazilian Rafael dos Anjos dominated Jason High for a TKO win. Also worth noting in June was the dominant Octagon debut of former Legacy FC champion Carlos Diego Ferreira. The Brazilian needed just 38 seconds to starch TUF 16 winner Colton Smith. 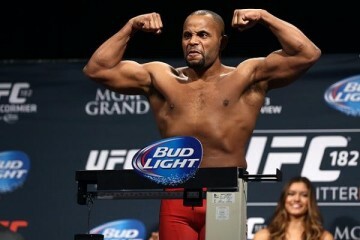 One of the month’s busiest weight classes was the 145-pound division. Jackson’s MMA product Cub Swanson earned his sixth straight win by outworking Jeremy Stephens for five rounds at UFC Fight Night 44. Swanson is in prime position to be the next challenger for featherweight gold. Also in action, former title challenger Ricardo Lamas bounced back from his title loss to Jose Aldo with a strong performance against Aldo’s teammate, Hacran Dias. With many of the top 10 in action, it was the fight between Charles Oliveira and Hatsu Hioki that featured the most praise-worthy performance. Oliveira became the first to submit Hioki in his nearly 40-fight career. In other action, World Series of Fighting saw its featherweight strap change hands when unbeaten Rick Glenn battered former champion Georgi Karakhanyan. Meanwhile, Team Alpha Male’s Lance Palmer stated his case to challenge Glenn with a dominant win over Nick LoBosco. Bantamweight was also a busy division in June, but the majority of the action came outside the top 10. TUF alum Bryan Caraway continued his ascension up the ranks with a second-round submission of Erik Perez, Canada’s Yves Jabouin cruised past Mike Easton and Sergio Pettis, lightweight champion Anthony Pettis’ younger brother, edged Yaotzin Meza. As was the theme of June, it was a UFC newcomer that left a lasting impression this month, as Japan’s Michinori Tanaka remained undefeated with a lopsided decision win over TUF veteran Roland Delorme. The spotlight was on the flyweights in June as champion Demetrious Johnson headlined his first pay-per-view event against Ali Bagautinov at UFC 174. 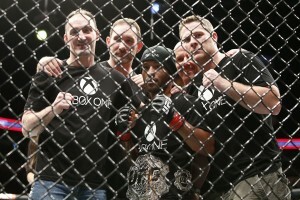 Johnson put on one of the most dominant displays of his title reign, but was unable to put away the hard-nosed Russian before the final bell. 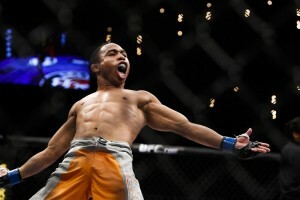 Also putting on a dominant performance in June was TUF winner and former title challenger John Dodson. He battered John Moraga at UFC Fight Night 42 and likely earned another crack at Johnson later this year. Outside the top 10, former WEC bantamweight title challenger Scott Jorgensen halted a lengthy skid with a decision win over Danny Martinez, 20-year-old Ray Borg ran through Shane Howell, and Brazilian Adriano Moraes earned a ONE FC title shot with a submission over Kosuke Suzuki. It’s going to be difficult for a fighter to overtake Jon Jones or Jose Aldo as the pound-for-pound king, but Demetrious Johnson’s performance at UFC 174 was a strong argument. Johnson’s technical proficiency in all aspects of the sport has left the UFC with no choice but to recycle title challengers just to keep him active.